Medical professionals have been documenting kids showing inattentiveness, impulsivity and hyperactivity for over 100 years. Since that time, ADD has been given many various names, like minimal brain dysfunction and hyperkinetic reaction of childhood, among the stranger-sounding. With the Diagnostic and Statistical Manual, fourth edition (DSM-IV), it’s been officially renamed attention deficit/hyperactivity disorder, or ADHD. This reflects the importance of inattention in the disorder in addition to the other characteristics, hyperactivity and impulsivity. See more at ADD vs ADHD. But back to the question of what causes ADD. And fact is, it still remains a question – at least in terms of precise causes. In general terms, however, there’s little doubt that heredity plays a very significant role. Most authorities on the subject agree that heredity/genetics makes the single largest contribution to whether an individual will experience the disorder – that genetic factors account for some eighty percent of the observed behavioral traits. And specific genes associated with the disorder have been identified. But other factors are also supported by research, such as exposure to alcohol and cigarette smoke in the womb, low birth weight, excessive lead exposure, and head injury. You may have heard about it being caused by excessive sugar or food additive intake, too much television, or ‘bad parenting’. But these and others are not supported by research – although some of these might be counter-productive in dealing with one’s adult ADD symptoms. Bottom Line: Exploring the causes of your own or a family member’s adult ADD is a worthy pursuit – because greater understanding of one’s condition has a direct correlation with one’s ability to crush it. Just beware myths and other non-factual BS that may seem more interesting than what the scientific community has agreed to. My son was diagnosed with ADD Mid at the age of 37 and he is taking medication. Is my son will have been cure from ADD? 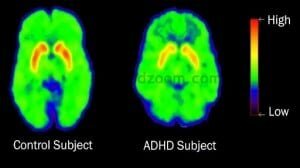 Hi Marta — there is no “cure” for ADHD, but 80% of properly diagnosed adults who are treated with medications see improvements. I was also diagnosed at 37 years old, and I still use the SAME medication as I did then (that was almost 20 years ago!). Medication changed my life, but NOT MEDICATION ALONE — I had to change the way I think and eat and act!! Meds are NOT a “magic potion”!!! My husband was just diagnosed recently at the age of 60! We have only been married a yr. but I knew something was going on with him almost right from the start, just couldn’t put my finger on what it was. He was coming across as lacking in good common sense and not paying attention. Once I started doing some research I pinpointed the problem. He was tested and DX with ADD. He has appt. in one wk to see PCP for RX of medication. If this doesn’t get properly treated I know it will destroy our marriage. How did you go about changing your way of thinking?? I have ADD and it seems to be getting worse. I cannot take any medications for it due to a substance abuse problem years ago. I am not willing to take that risk. Is there any other thing I can do to get this under control? Hi Ben — there are indeed a lot of things you can do besides med — and because of my prior addiction history, I was also steered away from meds at first. Safer meds are extended-release forms, which are less likely to be abused. So if you decide to try that route in future, consider that. Just recently I was diagnosed with ADD and I have started taking a medication for it. I have been coping with the symptoms of non hyperactive ADD my whole life and I am really hoping that the medication will be beneficial. One thing that really surprised me was how ADD is hereditary. Nobody in my family shows any sign of ADD. In fact, nearly everyone in my family is extremely focused, motivated, and aware of every detail. OCD tends to run in the family as well. I’m looking for some reasons as to why I have ADD when the rest of my family does not. I was a healthy birth weight, my mother did not drink when she was pregnant with me at all and she’s never even touched a cigarette in her life. I have never even had a mild concussion, much less a major head injury. The only factor that I can think of is being exposed to lead since I grew up in an old house that could have had lead pipes or paints. I also ate imported candies and played with imported toys frequently growing up, but I doubt that that would expose me to enough lead that it would cause damage to my nervous system. Also, excessive lead exposure can lead to a lowered IQ and behavioural issues, which I do not have. Could I have been exposed to lead or other toxins as a child that damaged my nervous system? Is there something else causing my ADD? Could I have been misdiagnosed? Please help! Im 19, and i just found out i have ADD.Most of the time I manage to control it , but when it comes to my studies i find it very hard to concentrate, even on concerta. Do you have any tips to stay focus in class, even on meds. and do you think talk therapy would help? Hey Nolan — welcome to the tribe!! I’m sure the diagnosis is a double-edged sword of relief and frustration/shame. The good news is there are a LOT of ways to manage your ADHD with or without meds (and by the way — if your meds aren’t working, GO BACK to your doctor and tell him/her, and insist on trying something different until you get a prescription that works for you). 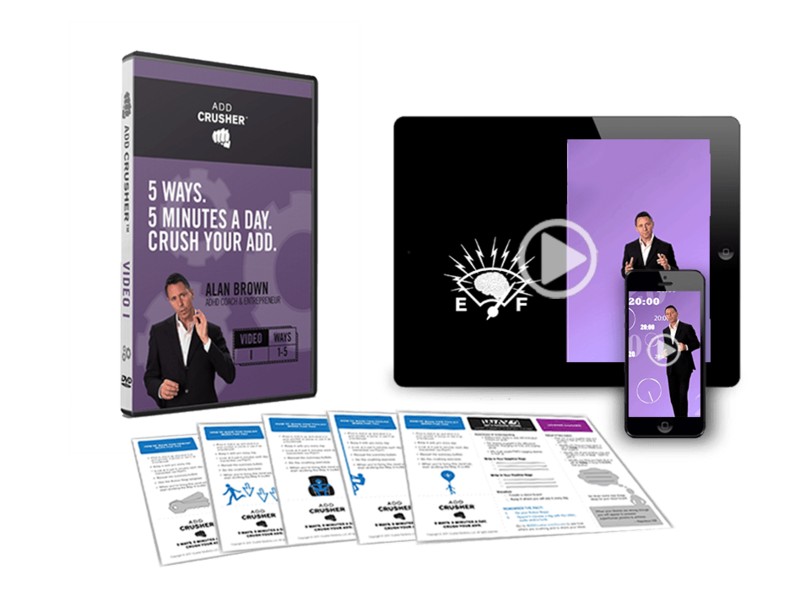 You can start by watching some free ADD Crusher™ videos on our YouTube channel at http://www.YouTube.com/addcrusher. 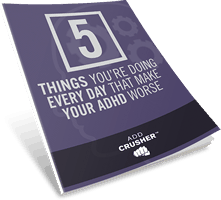 And be sure to read some of the helpful blogs here on ADDCrusher.com. I Have Inattentive ADD and am an introvert but it works well for school for me (Nursing school) because I seem to get alot further working on my own vs group study sessions. I have a question..I have suffered significant traumas in life (Physically abusive parents as a child..now Dad is emotionally abusive, near death car wreck)etc. Is trauma related to ADD? Hi Wendy — Wow, you’ve been through a lot, and by a lot, one could easily argue there’s a degree of PTSD running in the background of your brain, which can only make your ADHD worse. A trained doctor or therapist could give you more insights on the interplay between the two, but the good news is that you’re aware of both, and by virtue of that, you’re able to discern, for instance, how you study better solo vs in a group. Keep learning about your unique wiring and keep adapting.